​In the spirit of maintaining a healthy balance of work and play this winter, Business Retreats has got you covered. We’re diving headfirst into the tropical waters of Vanuatu. Self-described as ‘the happiest place on the planet,’ this tropical paradise is our number one destination to escape to this winter. With just a two and a half hour flight from Sydney and under four hours from Brisbane, you could be out of the office and lying on the beach in less time than it takes to commute in peak hour traffic! 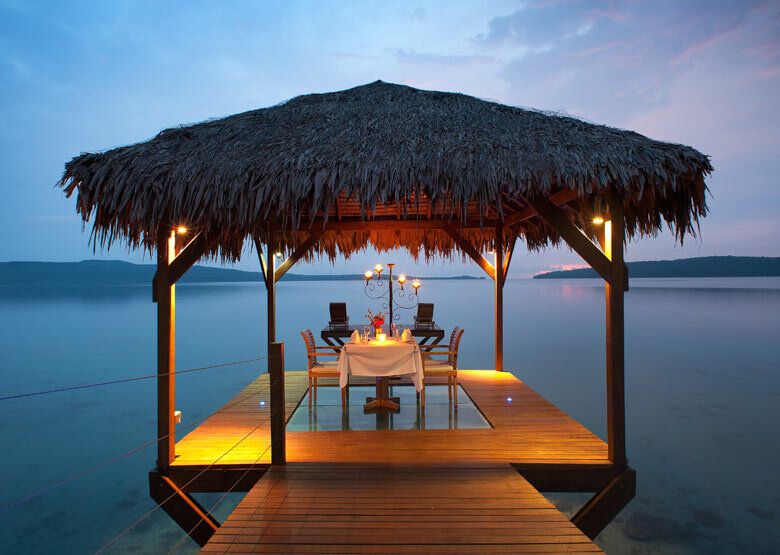 If you’re looking for five-star hospitality coupled with state-of-the-art conference facilities, than look no further than the Iriki Island Resort. Less than 20 minutes from Bauerfield International Airport, the conveniently located resort includes a range of function rooms designed to help you communicate in a stimulating and invigorating environment. The stunning location boasts an impressive list of first class function amenities including a hilltop conference room and a fully air-conditioned marquee that can be transformed into a cabaret-style event for 250 people. The marquee is also popular for cocktail events that can hold up to 550 guests. Post-conference, your attendees can choose from a wide range of team-building activities organised by the hotel’s staff including a day of snorkelling, white water rafting or a competitive game of tennis. 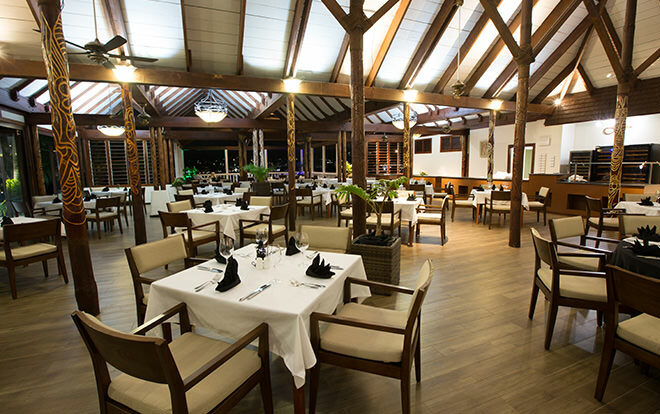 If you have a medium sized group of 100 delegates and would like to have a sole occupancy resort with warm hospitality along with an ‘everything-is-possible’ attitude, than the Holiday Inn Vanuatu is the perfect place for you. The resort is compact and well organised for groups looking for exclusive access and seclusion to conduct business with team activities at their fingertips. If you’re looking for somewhere that offers a larger guest capacity without sacrificing five-star opulence then look no further than Warwick Hotel and Resorts. 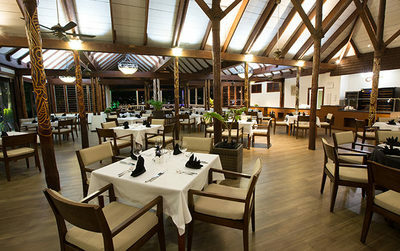 With an impressive 900-guest capacity, the Farea Pacific Convention Centre is one of the premier event spaces in Vanuatu which can be styled in a u-shaped, classroom, banquet, boardroom, theatre or cocktail setting and is fully staffed with trade professionals ready to meet your needs and requests. The Pacific Ballroom is another popular venue for smaller groups, seating up to 50 guests in a boardroom style setting. 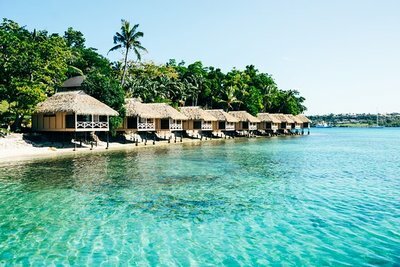 For smaller groups and incentive trips, The Havannah Vanuatu is another popular resort destination. This family-owned boutique resort is just a 30-minute drive from Port Villa and offers a truly authentic getaway for those looking to experience the apex of relaxation and luxury. The Havannah Resort is conveniently located near the Farea Pacific Convention Centre, giving you space to wind down and relax after a long day of work. 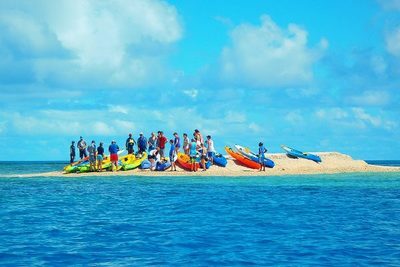 As an island nation, Vanuatu has an enormous range of water-based entertainment available but if the water doesn’t peak your interest than there is plenty of fun to be found on the mainland. Take your team building to new heights with a volcano tour or visit the village centre for a day of exploring local food, culture and cuisine. To find out more about the enchanting islands of Vanuatu contact us and get a quote for your next business retreat.